‘Big school’ means a lot of things, however from a financial perspective it can mean No More Childcare Fees! Did you know that it is not unusual for parents to spend $10,000 or more per year on long day care per child? For many families, the start of primary school is an opportunity for a parent to increase their hours of work or return to the workforce on a part or full time basis. This can have a significant effect on family income, lifestyle and relationships. If you are one of the 270,0001, what are you planning to do with the extra cash to ensure it does not simply disappear into your everyday spending? investments being placed on hold. We have also observed that when our clients re-enter the workforce, most forget that they actually managed quite well on lower income levels. Instead of investing, saving or paying off debt, the additional cash flow has been absorbed in their new daily lifestyle. What are some of the options to secure a strong financial path? Increase mortgage repaymentsUsing any money previously assigned to your childcare facility to make additional mortgage repayments. These additional repayments have a compounding effect and can significantly reduce the term of your loan, thus saving you thousands in interest over the lifetime of your loan. Review your debt and consider new optionsWhen living on a single income it is not uncommon for additional expenses to be added to credit or store cards. Unfortunately these types of credit facilities typically accrue very high interest. We recommend that you take the time to review all your debt and talk to us about consolidation options to reduce your overall interest (and mostly lower your repayments). The deal gets better…Refinancing your home loan can be difficult when children are young as lenders are hesitant to lend on a single income or consider part time earnings. When you re-enter the workforce, refinancing your home loan becomes easier as your ability to repay improves. There are currently some very attractive interest rates available. As your spare time now becomes so much more important, if you have not reviewed your home loan for a while, we would recommend that you allow us to do so while rates are at their all time low. Plan your investment strategyInvestments are typically the first item that we see families put on hold while their children are young. With both parents working and the elimination of childcare fees, an investment property may become an affordable option. Remember you don’t need to pay off your own home before considering an investment property. Ask us for our information guide on how to use your existing equity to start investing sooner. If big school is the on the cards for your little one, then make sure to call the office on 02 8215 1559 to start on the right foot this year! *Disclaimer: This article is generic in nature. All investment decisions should be considered wisely and based on your personal and financial circumstances. Seek proper advice before committing to any course of investment action. This is not deemed as advice. 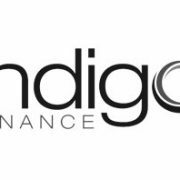 http://www.indigofinance.com.au/wp-content/uploads/2017/03/default-v2.jpg 198 300 wsadmin http://www.indigofinance.com.au/wp-content/uploads/2017/01/indigo-finance-logo.png wsadmin2013-02-09 01:19:262017-03-09 02:46:40'Big school' means a lot of things, however from a financial perspective it can mean No More Childcare Fees!